Looking to learn how you can be more effective communicating and acting on climate change? Consider applying to attend the Climate Reality Training in Houston, Texas on August 16-18, 2016. I first attended at Climate Reality Training in August 21-23, 2012 in San Francisco, California to be trained as a Climate Reality Leader to give climate change talks. I then attended Climate Reality Trainings as a mentor in Chicago July 29-August 1, 2013 and in Cedar Rapids, Iowa in May 5-7, 2015. For me, these trainings feel like “rocket fuel,” propelling me to new heights to take more action on climate change. Thus, I highly recommend attending if you can. July 4, 2006, (ten years ago!) a friend and I drove down to the Varsity Theatre in Ashland, Oregon to see An Inconvenient Truth. 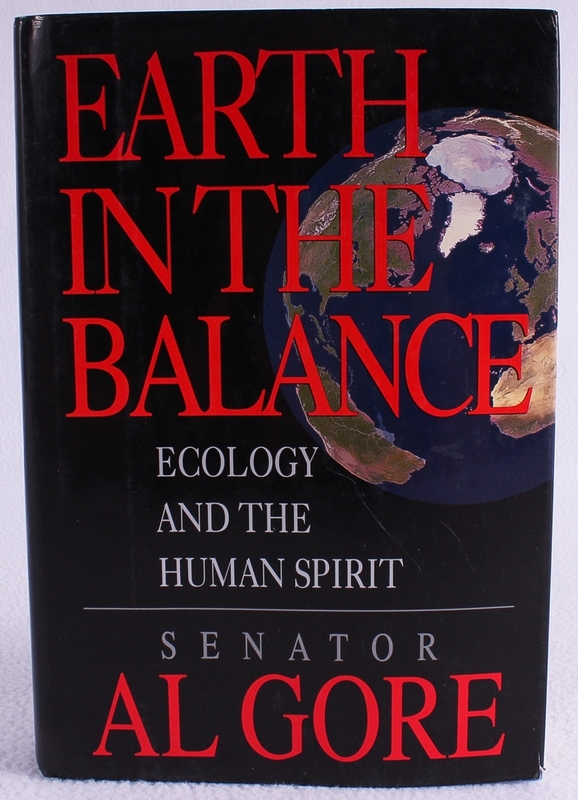 I had a deep admiration for former Vice President Al Gore for many years. I was intrigued by his 1988 Presidential campaign, which he ran in part to bring attend to environmental issues, especially climate change. I was impressed when Presidential candidate Bill Clinton picked Al Gore to be his running mate for the 1992 Presidential campaign. At the time, I still considered myself to be a conservative Republican leaning voter. I was not sure about Bill Clinton at that time, so I voted for Ross Perot in that election. In 1996, I voted for the re-election for President Bill Clinton largely because of Al Gore’s strong commitment to environmental issues. For years afterwards, I could not wait for Al Gore to run for President in 2000. At the time, I was working in the Florida Everglades. Needless to say, I was very crushed and depressed when Gore’s campaign fell short by just 537 votes in Florida. 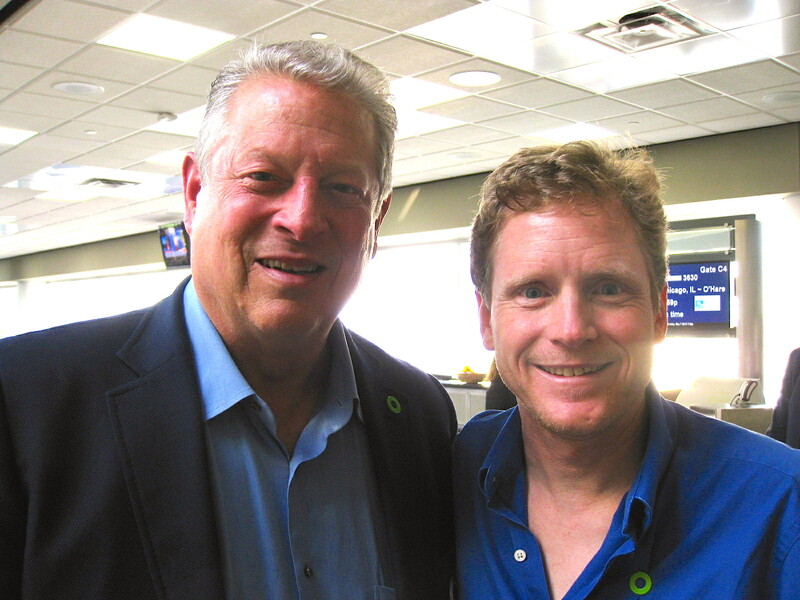 Since 2000, I did keep tabs of Al Gore in the media, hoping he would run for President again in 2004. I was disappointed that was not meant to be either. 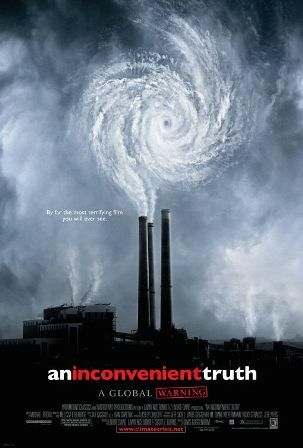 However, in the spring of 2006, I was reading good buzz from the print media about this new documentary about Al Gore, An Inconvenient Truth. My friend and I were blown away when we saw the documentary in Ashland, Oregon. It sparked a deeper interest in me to learn even more about climate change. I also bought the companion book from the film and rushed to get the DVD when it came out that winter. Staring at me while I was watching the credits of the film, was the announcement to get involved www.climatecrisis.net. I don’t recall ever clicking on that website since I did not own a computer and I had limited access to the internet at that time. Other viewers of the film did and they learned about trainings that Al Gore gave starting in 2007 to teach people how to give his slide show. A couple of years later, my friend Amelia encouraged me to apply to be a Climate Reality Leader to be trained by Al Gore. For whatever reason unbeknown to me now, I did not think I would be qualified or worthy to apply for those trainings led by Al Gore. Looking back now, I sure wish I had applied for his training years ago. I hate to think that I could now be how much further along I would be on my path as a climate change communicator. By 2011, I finally got frustrated with myself with my timidness for being too shy to act or speak out on climate change. 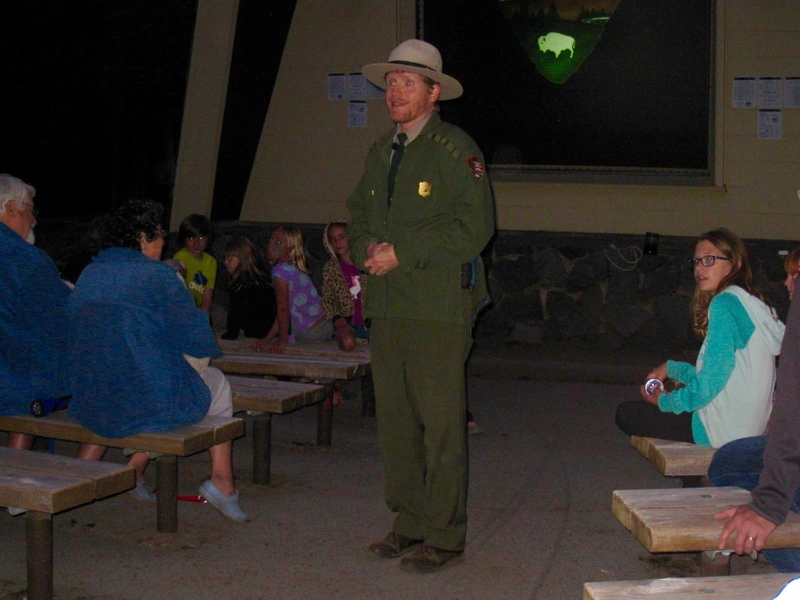 While working that summer as a park ranger at Crater Lake National Park, Oregon, I created a new campfire ranger evening program on climate change called, The Good, the Bad, and the Ugly. For years, I was too afraid to speak up about climate change. I was scared of people wanting to argue and debate with me about the science. I was worried about getting shouted down or booed during my ranger talks, if I brought up the subject. It turns out that I could not have been more wrong. The national park audiences were very receptive and supportive of my talk. This gave me the courage to be even more brave, to step out even more on a limb and speak up about climate change. During the summer of 2011, I googled the Climate Reality Project. I noticed Carolyn Treadway, a Climate Reality Leader in the Bloomington-Normal, Illinois area, was featured on their website. I then googled her and got an e-mail address and phone number for her business. I called her phone and sent an e-mail trying to reach out to her. Carolyn and I did chat by phone and I expressed my eagerness to be a Climate Reality Leader. Carolyn then generously contacted the Climate Reality Project to put in a good word for me to be trained as a Climate Reality Leader. At the time, there was no upcoming trainings in 2011, but Carolyn helped put me on the radar for the organization. December 4-9 2011, I was in San Francisco attending the Fall meeting of the American Geophysical Union (AGU) conference, one of the largest annual scientific conferences in the world. I was there to learn all I could about climate change by attending lectures by the world top climate scientists. On that Sunday evening December 4th, I was invited to attend a Holiday party hosted by the Union of Concerned Scientists. At that party, I struck up a conversation with Dr. Peter Joseph, a retired physician who had a deep interest in climate change like me. I quickly learned that Dr. Joseph was a Climate Reality Project Leader. We exchanged business cards and I asked Dr. Joseph to put in a good word for me if he got word of an upcoming Climate Reality Training. That February, Peter did give me let me know about about an upcoming Climate Reality training that August in San Francisco. He did encourage me to apply. Even more, like Carolyn, Peter put in a good word for me with the organization so I would be selected. In late June, thanks to Carolyn and Peter’s lobbying on my behalf, I was selected to attend the Climate Reality Training in San Francisco. This was nearly one year after I had boldly decided it was time for me to get involved with Climate Reality and learn how to give Al Gore’s climate change talks. As I mentioned above, I gained so much knowledge, helpful communication tools and inspiration from attending these trainings. 1. I personally met many Facebook friends who are passionate about acting on climate change like me, like Dr. Peter Joseph, Carolyn Treadway and so many others. At the San Francisco conference, close to 1,000 people attended. It was a huge boost to see that I was not alone in my concern about climate change and my longing to take action. Many other people felt the same way I do. 3. The trainings are an outstanding experience to be in the same room with former Vice President Al Gore. He shares his latest climate change talk. Even more, he spends a whole day at the training breaking down his slide show to share how to explain the science and solutions of climate change to an audience. During that day long session, Al Gore shares the stage with Dr. Henry Pollack, emeritus professor of geophysics at the University of Michigan, to make sure the science of climate change is explained accurately. In my experience of seeing Al Gore in person for the three trainings I attended, I observed Al Gore to be an excellent communicator on climate change. Even more, I found him to be a very engaging, educational, and entertaining speaker. He seemed to really understand the science, problem and solutions of climate change and, most importantly, how to relate the issue to an audience. 4. The training is a way you can help others become more effective taking action to reduce the threat of climate change. At the 2012 training in San Francisco, I met Dr. Lucas Sabalka. His name tag stated he was from St. Louis. At the time, he was a Assistant Professor of mathematics at Saint Louis University. When I saw Lucas was from St. Louis, I encouraged him to get involved with the St. Louis group of Citizens’ Climate Lobby (CCL). When Lucas returned to St. Louis, he immediately attended attended the local St. Louis CCL group meeting. 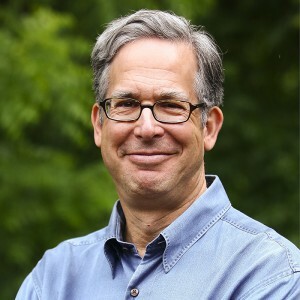 In June 2013, Lucas attended the Citizens’ Climate Lobby Conference and Lobby Day in Washington D.C. At that conference, he personally lobbied the offices of his members of Congress to take action on climate change by supporting Citizens’ Climate Lobby’s carbon fee and dividend. Even more, Lucas has continued to be an active volunteer with Citizens Climate Lobby to this day. In the summer of 2013, Lucas and his wife moved back to their home state of Nebraska. He is now active with the CCL group in Lincoln, Nebraska. On June 30, 2916, Lucas wrote this opinion editorial for the Lincoln Journal Star: Local View: An issue to unite us. During the winter of 2012-13, Lucas and I worked closely together giving multiple climate change presentations, along with fellow Climate Reality Leader, Larry Lazar, who also trained with us in San Francisco. Larry actually organized and booked the climate change speaking events. The three of us had fun practicing these talks days before we gave them to live audiences of up to 70 people around the St Louis area. For Earth Day, a GOP free-market solution to climate change. Since then, I have written 17 op-eds published: 5 in the St. Louis Post-Dispatch and 12 in Oregon newspapers. Meeting Lucas at the 2012 San Francisco Training was a very fortunate for me to become a better climate change public speaker and writer. Thank goodness I attended that training for just meeting Lucas. I wrote about his response in this blog post: Asking Al Gore directly how to respond to his critics. Even more, I got to get my picture with former Vice President Gore as we were getting ready to board the same plane at the airport at the conclusion of the conference. The man was clearly exhausted spending three full days leading the training. However, he could not have been more gracious and generous when I asked him if I could get my picture with him. With my huge admiration for Al Gore with reading his book Earth in the Balance in 1993, supporting his Presidential candidacy as a Florida Voter in 2000, getting blown away by An Inconvenient Truth in 2006, remembering my excitement watching TV when An Inconvenient Truth won the Academy Award for Best Documentary Feature for 2006 and Al Gore stood as part of the team on stage to accept it, hearing on the radio that Al Gore won the 2007 Nobel Peace Prize along with the United Nations Intergovernmental Panel on Climate Change, and seeing Al Gore in person from the previous Climate Reality Project Trainings, it was a dream beyond belief to meet Al Gore, shake his hand, chat with him and get my picture taken with him. As you can see, becoming a Climate Reality Leader did have a huge impact on my life. I know it can do the same for you. Do consider and do everything you can to apply to attend the Climate Reality Training in Houston, Texas on August 16-18, 2016. P.S. If your cannot make it Houston for the August Training, keep an eye out for another domestic United States Climate Reality that maybe happening later on in 2016. This entry was posted in Uncategorized on July 10, 2016 by bettling. Hi. I am sitting in Canberra, where it is winter, reading your blog. Earlier today, I applied to be trained in Houston, this August. I am more easily reached on John.symond@me.com . I found you on Twitter. Your story is very interesting. I am @john_symond on Twitter. Best wishes. Thank you for your kind words. I just found you on Twitter and I am now following you also. I have just been accepted to be a mentor in Houston, this August. Let's stay in touch. All the best!